Located near Cranleigh and Godalming, Smithbrook Tuition provides outstanding face to face teaching for all students. Working in a quiet, helpful environment gave our daughter more confidence in tackling her English. She always wanted to go to her lessons as she was gaining something out of it and never had to be reminded to do her homework. I think she liked the structure and knew what she would be doing and could always ask for help. If she had not come to Smithbrook Tuition she would not have learnt to spell anything let alone answer comprehension questions. Doing past papers certainly helped her get through both of the exams positively with us receiving two very nice letters from the schools we had chosen. Now we have to decide, which one to go to! Smithbrook Tuition offer everything a parent could hope to find in an education based establishment. The outstanding one to one teaching in a friendly and caring environment saw my daughter progress from a D/E grade English student to achieving outstanding English GCSE results with A & B grades and this would have never been possible without the commitment and expert assistant that all of the team at Smithbrook provided. I cannot recommend Smithbrook Tuition highly enough to anyone looking to improve the education standard of their children, from the initial introduction and free taster session, to the selection of the most suitable tutor, chosen not only for the educational aspects but also for the excellent way in which the subject matter was handled and explained. An outstanding way of delivering structured lessons that saw my daughter grow in confidence and the results speak for themselves! Huge thanks to Sue, Emma Louise and all the staff for all of your hard work and patience during a time that was at times fraught with tears and frustration, however delivered results that my daughter thought she could only ever dream of. In fact their dedication and value is so good that they have my son to contend with now as he approaches his GCSEs! Normally our child goes into a decline when it comes to school work with the usual expletives “Not now!” “Oh NO please can we do it later”. He has been so happy at Smithbrook that he has asked to go twice a week instead of once. When we tell him it is time to go he grabs his coat and he runs out the door without a single excuse to delay. Our son has just had a maths test at school and is very proud of himself as he did well. His confidence has improved so much since he started at Smithbrook Tuition in September. I am very grateful for the calm approach taken by you and your staff when he arrives and suddenly announces that he needs to revise quadratic equations or worse! Our son thoroughly enjoyed his time at Smithbrook Tuition and we were very pleased with the results. The lessons had a very relaxed approach (which is a real plus after a full day at school) and our son always ran in with a smile on his face. They did however, cover lots of work without the children really realising! We noticed a sharp improvement in lots of areas of his work. All of this combined helped our son pass all the entrance exams that he took and have the confidence to contribute at taster days and group interviews. We have had 2 children who have been and we will definitely be sending our 3rd! We, as parents, feel that our daughter has improved and been able to practise Maths topics with more ease and more confidence. She is at ease totally now with money topics, doing divisions or tricky multiplications. She has been able to keep her level in Maths having started secondary school this school year, with lots of new items to study and when she could have dropped. The summer revision week helped her a lot with this. The teacher says she is keen to participate. 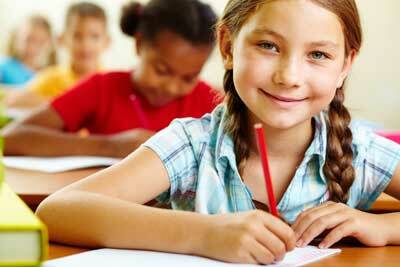 Regarding English, where she was lacking in comprehension skills, Smithbrook Tuition has enabled her to understand and acquire a process for reading text and questions and give a good answer. She used to answer “besides the point” or what she thought instead of referring back to the text; she does this far less now. Her English teacher seems happy with her developing ability and confidence. Furthermore, our daughter is always keen to do her homework, enthusiastic about coming on Saturday (early) mornings and enjoys the time she spends at the school. If she had not enjoyed it and/or not made progress, we would have stopped with the school. In terms of recommending the school, it goes without saying that we do. Ask today about a FREE ASSESSMENT and consultation. How does cursive handwriting affect the brain?